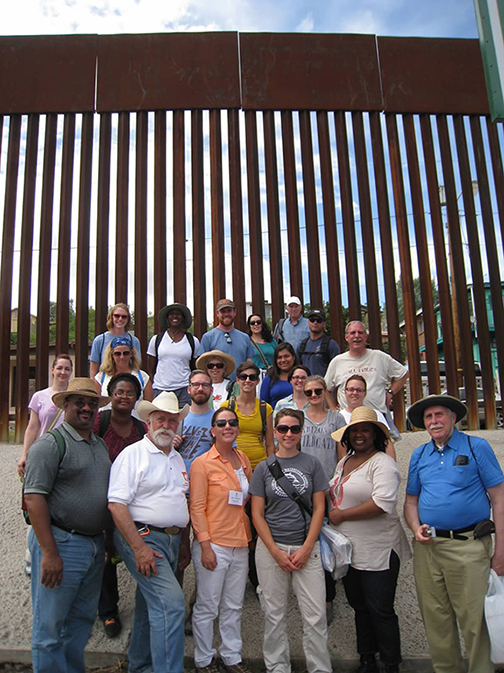 With a focus on immigration and the tough journey migrants often face, 19 participants and 3 staff members immersed themselves in the 2014 Lasallian Social Justice Institute (LSJI) from July 6 – 11. This year concentrated on the experiential program entitled El Otro Lado, Spanish for “the other side,” that is offered by San Miguel High School in Tucson, AZ. Through first-hand experiences, participants gained a sense of the challenges surrounding illegal immigration, while also being exposed to varying perspectives. 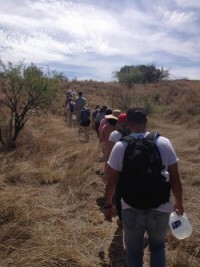 They took a tour of the U.S. Border Patrol station, hiked a migrant trail, and visited the Kino Border Initiative in Mexico where they served meals to deported migrants and heard immigration stories. Brother James Dries, FSC, a teacher at La Salle Academy in Providence, RI, said that as a son of an immigrant, he has a particular interest in the topic. He plans to take what he’s learned in this experience at LSJI and use it to instruct in an extensive program on Lasallian Formation for La Salle Academy faculty. 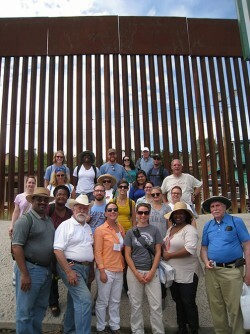 [from the trip] were feeding the immigrants on the Mexican side who had been deported from the States. Many of them seemed to be ready to try again,” said Brother James. LSJI embodies the Lasallian commitment to association for the educational service of the poor and the rights of children. The goal of the program is for participants to develop an understanding of the immigration issue while they reflect and share their thoughts on their responsibility to serve and act justly.